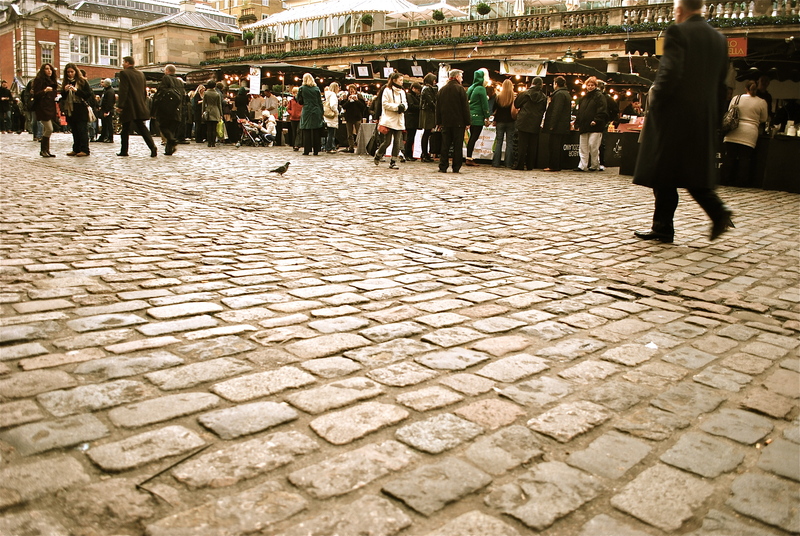 OK, this is Covent Garden in London, not Paris OR Montreal. But it speaks to perspective. The street signs are in French. I don’t read French. My GPS lost signal the second I crossed the border, and I have never been good at interpreting printed maps. As my car hurtled down the rural highway toward Montreal, I recalled another time I lost myself in a culture I couldn’t understand. Paris, 2007. Spending a semester in Italy, my roommates and I decided to take a Spring Break trip to Barcelona and Paris, to see something different. Experience something fresh. Although my funds were dwindling, I tagged along and hoped to see those cities on a budget I could afford. Paris exists in my mind through a haze of incomprehension, like rose-colored glasses made of language. One golden afternoon, or my memory recalls it that way, my roommates wanted to see Les Invalides, where Napoleon is buried. I don’t remember the entrance fee, but it was higher than I was willing to pay, so we arranged a meeting time for later that afternoon, and I struck out on my own. With our American chatter stripped away, I heard the city for what it was, without our interpretation. Ruby-red awnings on a corner cafe flapped in a gentle breeze. Bells tinkled on shop doors as I strolled past women with squeaky-wheeled carts doing their weekend shopping. I wandered into a church whose very air was somber and dark inside, spirits muffled by ancient stones. There’s a particular sensation of lost that comes with wandering a city whose language I don’t speak. The sparse handful of French words I had at my tenuous command did little to guide me through the streets. The sharp tattoo of my shoes against uneven, sun-drenched cobblestones, the wind rustling leaves in trees that peeked over courtyard walls, the babble of children playing on the promenade were all equally incomprehensible to me. I couldn’t interpret this city, and was thereby freed to take it as it was, without the filter my own language would have imposed on it. I think I saw Paris better that afternoon than it all the other days I spent there before or since. Our instinct, as verbal creatures, is to explain things. We want to know what the world is, what it means for us, what we mean in our individual contexts. But for me, it’s equally valuable to let a place wash over me with the mysterious beauty that comes from being unable to read the signs. I think a child who has not yet learned to read must look at picture books the same way. Their world is visual, without the intrusion of black and white signifiers we call language. Montreal showed itself to me that way. I found myself appreciating staircases most of all. Their twisted bodies affixed to the outsides of European-style row houses entranced me. They looked like shriveled vines or the skeletons of creatures that embraced the buildings and died that way, gasping beauty into their final breaths. Reading menus at restaurants, cafes and bars, the shapes of the words distracted me. I mouthed what I thought they might say, feeling the shape of them between my teeth, but not their meanings. It’s a beautiful experience of language: learning what it tastes like without the limitations of what they say. Wandering around Montreal, my mind noshed on scenes that flew me back to the type of beauty I found so alluring in Paris. Winding, cobblestoned streets, signs I don’t understand, swoops and turns and twirls of letters that form to make sounds I search for beauty without meaning’s interference. I am equally preoccupied with meaning and beauty. As a writer, I thirst for meaning and thrive on nuance. My eyes devour poems and stories that can be read, turned inside out, analyzed like a blood sample and dissected, a frog on the laboratory table. I love to dive into a hybrid text and roll around in it for days, until I emerge punch-drunk on meta-narratives. I don’t, I say. I only know there are layers upon layers to human beings that can be peeled away like onion skin and I don’t think such complex creatures create anything that simple. I know my brain loves nothing more than to chomp through the underlying meaning of everything and what’s beneath the surface makes the facade that much richer and more intense. Montreal is covered in art. Graffiti decorates many brick walls and abandoned alleyways. It crouches above rows of garbage cans and well-dressed windows. It screams from shop facades and beckons buyers to fruit stands and sidewalks. A friend asked me whether, if all art is open to interpretation, anything could be construed as art. He ran his hands through his hair, ruffled with the frustration of boundaries that undulate with the times. Art breathes like we do, and so do trends in what is and is not part of that canon. “What a beautiful idea,” I answered. That’s what I love most about art, I suppose. It does not deal in the banalities of commerce. It lives above the sludge of societal expectations and lets us thrive in the endless possibilities interpretation presents its appreciators. Wandering a foreign city does that, too. I returned from Montreal refreshed by the intellectual exercise of navigating a culture not my own, of interpreting myself within this fresh context. Tasting the change travel inspires in my spirit. Masticating culture. Devouring the beautiful synergy of letters into words. Next How are you earning your piece of planet? Though I am a little late in reading this, your post is, for me, apropos. Perhaps this means I am right on time. It was your line, “The sparse handful of French words I had at my tenuous command did little to guide me through the streets,” that resonated deep in my core. This is because I have come to the recent realization, through experience, that language often does little to guide us, even our own language. The mind likes to muddle our observations because it wants them to fit into the world it has built within in an effort to minimize any internal disturbances. But, oh, what we miss. If we come to know the observer, who is quiet, we come to understand, not just intellectually, but experientially, what real freedom is. And, it is then that we are able to “live above the sludge.” Thank you, Lizz, for writing your words for all of us.